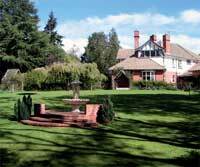 Rosebank Lodge is an ideal stopover when visiting the Scenic South. Luxurious Lake front accommodation. Meals by prior arrangement. Reservations essential.